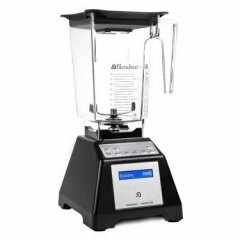 Based on its aggregated ranking of 92%, we determined that the Blendtec 575 is currently Alphachooser's best Blendtec blender 2019. We also believe that our 257 reviews sampled from our sources give us a high confidence level (more on confidence levels) that allows us to call it a "no-brainer best choice." Based on star rating of 4.5 averaged over 53 reviews, here is what we consider second best Blendtec blender. * Btw, our choices are based on an in-depth computation of hundreds of reviews from around the web. A 1560-watt 32-ounce all-in-one blender that claims to blend anything with its direct-drive motor, ten speed settings, six preset programs, a five-sided BPA-free jar, and a seven-year warranty. A multifunctional blender that mixes, blends, whips, and kneads in a slightly above-average 64-ounce blender jar and a 4-quart mixing bowl.